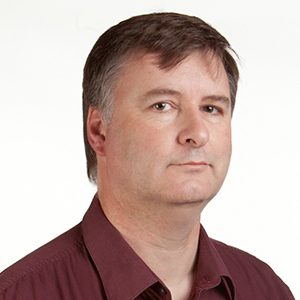 Stephen Garner is Academic Dean and Senior Lecturer in Theology at Laidlaw College. He teaches primarily in the area of practical and contextual theology, and his research focuses upon theology in dialogue with science, technology and new media, as well religion, media and popular culture. His current research projects include: theological ethics and social media; angels in popular culture; theological education and digital technology; and video games and spiritual formation. His most recent book (co-authored with Heidi Campbell) is Networked Theology: Negotiating Faith in Digital Culture (2016). Stephen is married to Kim with four children and they worship at Massey Presbyterian Church. "Vision: Altered Carbon and Westworld." Stimulus: The New Zealand Journal of Christian Thought and Practice 25, no. 1 (2018). Published electronically 18 July. https://hail.to/laidlaw-college/publication/3onRxJl/article/f3tyekc. "Are You My Neighbor? Theology, Networks, and Encounters with God and Others." In Authority and Leadership: Values, Religion, Media, edited by Míriam Díez Bosch, Paul Soukup, S. J., Josep Lluís Micó Sanz and Daniella Zsupan-Jerome, 111-122. Barcelona: Ramon Llull University, 2017. Campbell, Heidi and Stephen Garner. 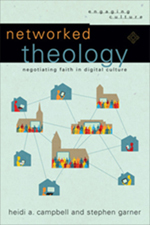 Networked Theology: Negotiating Technology and Faith in a Network Society. Grand Rapids: Baker, 2016. "Vision: Batman V Superman: Dawn of Justice." Stimulus: The New Zealand Journal of Christian Thought & Practice 23, no. 2 (2016): 43-45. "Contextual and Public Theology: Passing Fads or Theological Imperatives?" Stimulus 22, no. 1 (2015): 20-28. "Jesus Heals? Faith Claims in the Public Square." In Spirituality and Cancer: Christian Encounters, edited by TIm Meadowcroft and Caroline Blyth, 97-114. Auckland: Accent Publications, 2015. "Public Theology through Popular Culture." in The Bible, Justice and Public Theology, edited by David J. Neville, 174-189. Sheffield: Sheffield Phoenix Press, 2014. "Christian Theology and Transhumanism: The “Created Co-Creator” and Bioethical Principles." In Religion and Transhumanism: The Unknown Future of Human Enhancement, edited by Calvin R. Mercer and Tracy J. Trothen, 229-244. Santa Barbara, CA: Praeger, 2014. “Lament in an Age of New Media” in Spiritual Complaint, edited by Miriam J. Bier and Tim Bulkeley, 228-45. Eugene, OR: Pickwick Publications. "Sacred Texts in a Secular World: Teaching Sacred Texts in a Pluralistic, Multi-Faith, Modern University Campus." The ANZTLA eJournal, no. 10 (2013): 33-46. “Theology and the New Media.” In Digital Religion : Understanding Religious Practice in New Media Worlds, edited by Heidi Campbell, 251-65. Abingdon, Oxon; New York: Routledge. “Morningside for Life! : Contextual Theology Meets Animated Television in Bro’town.” Studies in World Christianity 17, no. 2. 156-74. “Image-Bearing Cyborgs?” Interface 15, no. 1. 31-50. “The Hopeful Cyborg.” In Transhumanism and Transcendence, edited by Ronald Cole-Turner, 87-100. Washington, D.C.: Georgetown University Press, 2011. “Hacking with the Divine: A Metaphor for Theology-Technology Engagement.” Colloquium 37, no. 2. 181-196. “Transhumanism and Christian Social Concern.” Journal of Evolution and Technology 14, no.2. 29-43. "Co-Creating as Technology." In Thought Matters Conference. Nambour, Aus., 24-26 August 2018. "Sacred Pilgrimage in Playful, Digital Spaces." In International Society for Media, Religion and Culture Conference. Boulder, CO, 8-11 August 2018. "13 Reasons Why: A Theologian Reflects." In The Sturt Lectures: A conference for dialogue between Counselling and Theology, Laidlaw College, Christchurch, NZ, 29 September 2017. "Playstations & Peregrinations: Pilgrimage Experiences in Playful, Digital Spaces." In Home or Away? Locating Sport and Leisure in Christian Faith and Practice, Carey Baptist College, Auckland, NZ, 11-13 July 2017. "Are You My Neighbor? Theology, Networks, and Encounters with God and Others." In Theology and Communications: THEOCOM15. San Clara University, C.A., 2015. "Upside-Down Angels: Inverting Supernatural Good and Evil in Popular Culture." In International Society for Media, Religion and Culture Conference. Canterbury, UK. 4-6 August, 2014. “Cultural Exegesis: Missiological Pragmatism or Theological Imperative?” Vose Conference, Perth, Australia. 15-16 August 2011. “Lament, imprecation and new media”. New Zealand Pastoral/Practical Theology Network Conference, Dunedin, New Zealand. 7-8 November 2011. “The cry against injustice in the online world”. Australian and New Zealand Communications Association (ANZCA) Conference, Hamilton, New Zealand. 6-8 July 2011. “Lament and New Media”. Theology and Practice of Lament Colloquium, Auckland, New Zealand. 10-11 February 2011. “Symbols, swords and spandex: Religious authority in comic books through the lens of the ‘warrior nun’”. 7th International Conference on Religion, Media and Culture, Toronto, Canada. 9-13 August 2010. “Whale Rider or the Passion of the Christ? Lessons from Aotearoa-New Zealand in teaching religion and media with local and global voices”. 7th International Conference on Religion, Media and Culture, Toronto, Canada. 9-13 August 2010. “Image-bearing cyborgs?”, American Academy of Religion Annual Meeting, Montreal, Canada, 7-10 November 2009. “Transhumanism and Theology”, Science and Religion in the 21st Century, Auckland, New Zealand, 14 March 2009. “Constructing a Theology of Technology in response to Transhumanism”, American Academy of Religion Annual Meeting, Chicago, U.S.A., 31 October-3 November 2008. “Broadening the application of the ‘co-creator’ metaphor”, International Society of Biblical Literature Meeting, Auckland, N.Z., 6-11 July 2008. ‘God as Hacker’, Trans-Tasman Virtual Theology Conference, Auckland, New Zealand, 11-12 February 2005. ‘The Spiritual Life of Technology’, Systematic Theology Association of Aotearoa New Zealand,Christchurch, New Zealand, 4-5 December 2003. "Technology & Faith: Reflecting the Positives." TSCF Canvas, no. 74 (2015): 14-15. Malpas, Phillipa, Warren Brookbanks and Stephen Garner. 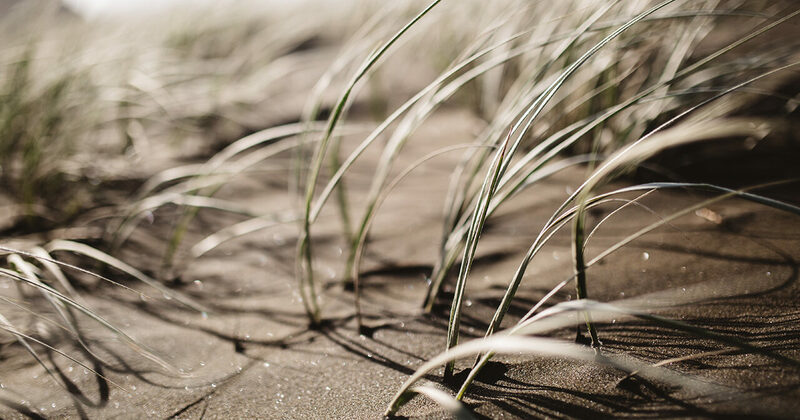 "Euthanasia: Should It Be Legalized in New Zealand?" Ingenio: The University of Auckland Alumni Magazine2013, 10-11. “The posthuman in popular and academic cultures”, Theology and the Natural Sciences in Aotearoa (TANSA) symposium on Christian faith and Postmodernity in Auckland, New Zealand (2011). “Sacred Texts in a Secular World: Teaching sacred texts in a pluralistic, multi-faith, modern university campus.” 2011 Annual Theology Lecture at Flinders University, Adelaide (25 August 2011). “Finding God in Comic Books.” Candour, August 2009, 16-19. “Thinking theologically about new technologies”, Theology and the Natural Sciences in Aotearoa Bioethics Symposium in Christchurch, New Zealand (20 September 2008). “Should We Have a Theological Perspective on Technology?” sPanz: Spanning Presbyterians in Aotearoa New Zealand, September 2007, 2. "Voices from the Technological Borderlands." In Voices of the Virtual World: Participative Technology & the Ecclesial Revolution, edited by Leonard Hjalmarson and John La Grou, 61-67: Wikiklesia Press, 2007. “Technology with Heart.” Reality, December 2004, 44-45.